Well the other day bored on my lunch i thought to myself should I get a pspgo or psp3000? After sending a couple of messages over Twitter a follower said i should wait for the psp2 so i had a quick look on google and the next day boosh Sony announce the PSP2 aka NGP. UMD’s have been ditched for a new game media on card form. Front and rear cam and a multi-touch pad on the back, also double analog sticks for their fps. PSP store, trophies plus a lot more. The psp2 uses android OS and has a store and trophies like the ps3, they also say the gfx will be similar to the ps3 only on a 5″ screen. There are a few videos on YouTube from the announcement and the media people who were there and I cant wait. Not sure about the release date but more than likely before christmas 2011. 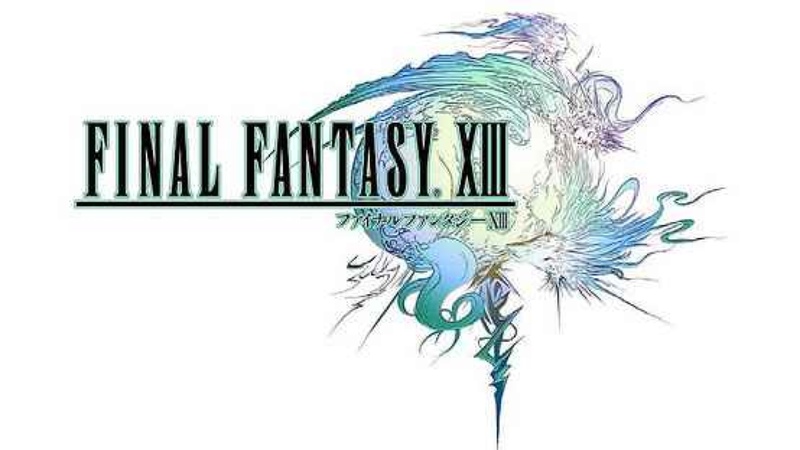 The last Final Fantasy I played was Final Fantasy Seven which was released in November 1997 in the UK. I got this on release date for my trusty PS1 although I had 2 PS1’s my first lasted forever. Thirteen years later Final Fantasy Thirteen was released now this was released on multi platform so 360 & PS3 and although I own both I put of buying this game as I was unsure about whether or not I would enjoy a Turn Based RPG again. Well Last Week (21st Jan 2010) I found a copy cheap and thought I would give it a go. You’re probably thinking all copies of this game will be cheap now as it’s dated but I wanted an original not a platinum edition. I hate all the yellow on the platinum cover. Well now I have a 7 week old wanting fed every 2-4 hours I don’t have that much time to play online games so while I’m waiting for him to wake up between 9pm and 12pm I jump on this as its single player I can pause it and do what I want then un-pause and go again. After the first two chapters I started to get into the game and I am enjoying it very much the last one I played I’m sure your team took turns then the enemies took turns this time it’s on a timer so you have to wait for the ATB gauge (active time battle) to fill before you can perform your move. There are also different paradigms (classes) like medic, sentinel, ravagers & commando. You can set these up in the pause menu so you can have better attacking abilty like a strong attacker and a medic to heal. You spend CP (Crystogen Points) earned from battles on crystarium which upgrades your abilites and character upgrades (Fire,Water, health, Magic ect) you get spoils (componets) from battles too many to list but once you unlock the Omni-kit you can use the components to upgrade your weapons and accessories. The game isnt very hard to get the hang of and unless your listening to the story you will probably get sick of this game very easy in the beginning but give it time and you will start to enjoy. Ok you want to back up your 120gb ps3 HDD, so you go to your local store and buy a 250gb external HDD connect it to your PC and format it to FAT32 the file system your PS3 uses and you get a grand total of 32gb? This is because windows will only format FAT32 to 32gb unlike NTFS which is a maximum of 16tb. Your now sitting there scratching your head wondering where you went wrong and try to format again and again. You want a solution? Good the link is below will format a 250gb HDD in around 5 mins just click the large image. If you get stuck comment and I will try to help. There is a long-winded way around which is delete the partition and make a RAW partition and then format using DOS and a few other strange commands but the application I have found works the best and saves you time. Oh and if you get an idiot in a store telling you FAT32 will only format to 32gb use the application then take it back to the store connect it to a PC and rub his face in it. Why port forward on PS3? Are you struggling to join games of CoD and are your comms in-game a total mess, can you hear people but they can’t hear you? You probably did a google search to try to find a way around it so you can finally get a good game, the first thing you find which is what I looked in to was port forwarding on your router. Is port forwarding easy and does it work was my main question and I got the answer after about 5 minutes of looking HELLS NO. I logged into my router tried to port forward to the massive list of ports the games use on the PS3 and my internet stopped working reset my router and tried again, I would like to point out that every router menu is different not massively but different mine needs IP’s and all sorts to port forward and i think this is where i was going wrong after a few hours of losing connection and getting so frustrated I was going to throw the router out the window I stumbled upon a different way around it all together. Put your PS3 into a DMZ (demilitarized zone) on the router this a simple process and takes 10 minutes and not only that opens all ports and well anything else. The main question is how safe is this for your PS3 well it doesn’t have a OS like a pc where files can be dropped to access everything so in theory this is safe. If you have stumbled across my blog looking for port forwarding don’t bother use this link below to the Playstation community blog and don’t forget to thank Muster Buster as he wrote the guide. Well I have come close to my platinum on a lot of games but for the past few months I have been trying so hard to get a platinum. I only need 1 – 2 trophies on Medal Of Honor, CoD Black: Ops, Bad Comapny 2 & Borderlands. These trophies are not the hardest but they are just so tedious to get for example get to level 51 on Borderlands. The problem im having is just getting on and playing to get the last of the trophies I need. BlackOps Zombie trophies: Getting on a game with people who want to play and can play not just run around and quit when they die. I call this a quest its more like slow painless punishment until I get them, and after I do ill probably sell the games unless they have a good add on like Borderlands & BC2. Well i have had Worms and Pain for some time and thought i would try some more games from the PSN. I got Shank, Costume Quest, Pac-Man CE:DX and UNO. The majority were price at around £8 and they are well worth it and what made it better was the fact you could get the trial first. Although Shank is a little frustrating at times when you’re doing well its very fun (Very Violant). Costume Quest is funny fun and easy to get in to. You get battle cards (Perks) you can use in battles. As you unlock new costumes you get new moves to use in free roam. Pac-Man is Pac Man but with Time Trail Free Play and is just as addictive as the original (Must have for any Gamer). I started playing Costume Quest on 08/01/2011 at 11am and was on until 5pm i was totally engrossed in the game and felt like i had only been on for an hour. I see there is an add-on so will probably be getting it once i finish the first game. First time online with this game last night and i was playing with level 15-20 players im level 1 this game would be fun but I just couldn’t get into it. After a while i was getting very frustrated if you get clipped by another car your steering locks going forward? You have to aim in a gap between cop cars and if you’re a cm over you crash out. Although i have only played for one day and really do need to play more to get batter cars im still pissed at the fact if i sell this game its worth less as it has one of them stupid EA codes? That said i wont be selling on just yet i think it will grow on me over the next few games.